Some drivers do know that there is a driving history that pertains to them. What many are not aware of is how important this is when it comes to their insurance. They often think that only major driving offences or collisions are important. They know these can affect their insurance premiums. Some discover how important the driving history is to insurance companies. Then it gives them a different perception of its importance. 1 What Shows On Your Driving Record? What Shows On Your Driving Record? There are different forms of driving records. Such as the statement of driving record. This is a record that contains different information. 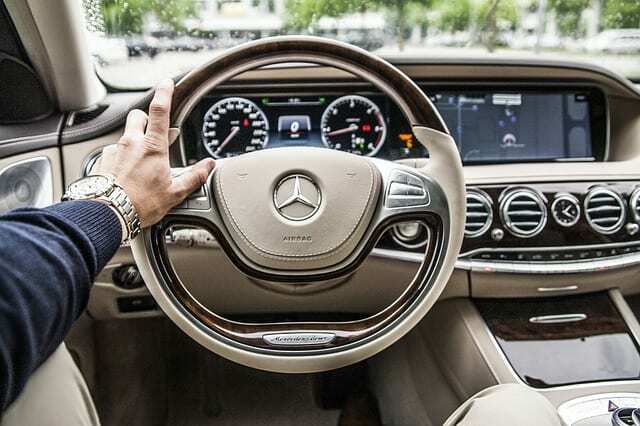 It is as it pertains to the driver in connection with their driving history. What it will contain is as follows…. The identification information such as the driver’s name and the license number. It will give a personal description of the driver. Plus, it includes their height their birth date. As well as their gender. It will also contain important information about their driving history. It will show any convictions there are. Those that come under the criminal code of Canada as well as the Highway traffic act. Suspensions and reinstatement of the license are shown for the past three years. It will show the number of demerit points that have accumulated. Along with this will be some other miscellaneous information as well. But it will not show the actual address of the driver. Being as this particular document shows addresses, it’s restricted to who can be privy to it. The driver can get it as well as a law enforcement agencies. Plus, other restricted government agencies. But, it is obtainable with the addresses omitted. Much of the information that is in the driving history helps to confirm information. It is the information that the insured provides to the insurance company. But, what is important to the insurance company when they are setting their premiums? Also, when renewing the policy. It is the driving history that is important. As it pertains to the different type of data collected for it. Driving infractions play an important role in the premium setting. These infractions give information to the insurance company. On the way, the driver conducts himself while on the roads. There are many different types of tickets given out when driving in Ontario. These apply to many different types of infractions. Driving infractions fall into three categories by the insurance companies. These are minor, major, and serious. When it comes to the tickets the history for these is going to go back three years on the driving record. What the insurance companies look at is the pattern of these tickets. And what they pertain to in regards to how they’re categorized. The driving pattern indicates how much of a responsible driver the insured is. Accumulation of speeding tickets raises a red flag for the insurance company. It gives the impression that the driver is careless. Also, they may not be practising responsible driving. One or two tickets may mean the insurance company may not be as critical when viewing this. The most important types of tickets to the are those that relate to the vehicle when in motion. Infractions such as parking tickets do not play a factor in the setting of the premiums. All too often drivers do not put enough emphasis on the importance of tickets. At least as it pertains to their insurance. This is becoming more well known, and there are drivers that are aware of this. But, there are still many that aren’t. As a result, they end up paying higher premiums. Most drivers are aware that any accident could affect their insurance. What they don’t know is how much of an effect. In these cases is going to come down to being the determination of who was at fault for the accident. There are regulations that insurance companies have to follow to determine this. They have to use a program called the at-fault determination program. This is a blueprint that shows the insurance company how to determine who was at fault for the accident. They will determine the percentage of fault. This will then dictate what the increase in premiums will be. The accident will show on the driver’s record. The history of the accident will go back as far as six years at least. As recorded on the driver history. There is some conflict about the accumulation of demerit points. About whether has any effect on the insurance. The general perception is that they do. It is because demerit points are a reflection of poor driving practices. When demerit points are showing on the driving history at they are going to create a red flag. For the insurance company. They will look at them closer to see what did they relate to. This information creates a level of importance to the Insurance Companies. It means that the drivers must strive to keep a clean driver’s history. As well as do anything that will boost their credibility. For example, better insurance rates could be given to those drivers that have taken drivers education. The driving history shows the negative factors for setting insurance premiums. It can have some positive aspects. A clean driving record has a positive effect. It can give Insurance Companies greater confidence. They know that they can offer lower insurance rates without being at risk. Does Paying Car Insurance Help Build Credit? Can Auto Insurance Companies Deny Coverage? HOV Lanes – Are They Effective? Does Car Insurance Cover Water Damage?